It's not very common nowadays, but in the first few years it happened a few times. Candice Bergen hosted episodes 4 and 8, about a month and a half apart. More recently, I see Alec Baldwin did it in '94 and Justin Timberlake did it in '13. This seemed to be another episode where the cast did most of the heavy lifting and the host was along for the ride. Not sure what happened that they re-ran that Arons List ad from a few weeks ago. I'm glad that they actually dug into Trump in Update, and it's always fun when McKinnon brings a guest to WU. The "Claire" bit was good, and I enjoyed the escalating craziness in the time to bleed sketch. Nice to see Ferral pull out his W imitation again. The Star Wars commercial was also pretty perfect. But but bbut, we SHOULD round up all the taco bells and send them back to mexico. Between Deborah's Time and their friend Claire, there were two sketches that were very funny to me that I can also imagine people really not appreciating. I enjoyed the escalating craziness in the time to bleed sketch. I liked it, but I wish SNL didn't only seem to use Sasheer Zamata to react to other people's craziness. She does a great horrified/disgusted face, but I bet she's got more in her repertoire than just that and Michelle Obama. I thought the Deborah's Time bit was kind of brilliant, but it gave me bad theater kid flashbacks. I wasn't a theater kid, but I was close to some of them and I never learned to prepare for or deal with those moments when they suddenly turned everyday life into a big Broadway musical. I knew exactly what the guests in that sketch were feeling. I'm guessing Strong was the instigator of that sketch, partly because the actors who star in a sketch usually have a hand in writing it and partly because nobody gets a big Broadway voice like that without growing up as a theater kid. She absolutely nailed those notes while also playing it just the right amount of way too big. Yeah, both of those fell pretty flat for me, as did the pirate one. Kenan getting wet was the only time I laughed at that sketch. I liked Merkel trying to celebrate and Bush coming back, but this episode was a dud. I didn't like it the first time he hosted either. A serviceable episode. Hemsworth was a lot less wooden than Gosling the previous week, so the jokes had a better pace and rhythm, even if none of the sketches rose too far above or below the "average" range. They need to find something better to put Joe Rudnitsky in; he has potential, but not so much with the Chris-Kattan-type shpiel. I think Paul Brittain would have been great in that "Funny pirate at the office Marc" sketch. AND MORE PETE DAVIDSON IN EVERYTHING PLEASE. 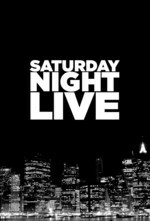 SNL's sketch line-up is switched out on the fly, with sketches added and removed based on how long or short the episode is running. They would have re-run Aron's List because they didn't have time for the last sketch, but needed something to fill the last couple minutes of the show. I remember Tina Fey talking about how, for the writers, getting a pre-taped commercial spoof on the air was the ultimate goal, because it would be shown multiple times that season.